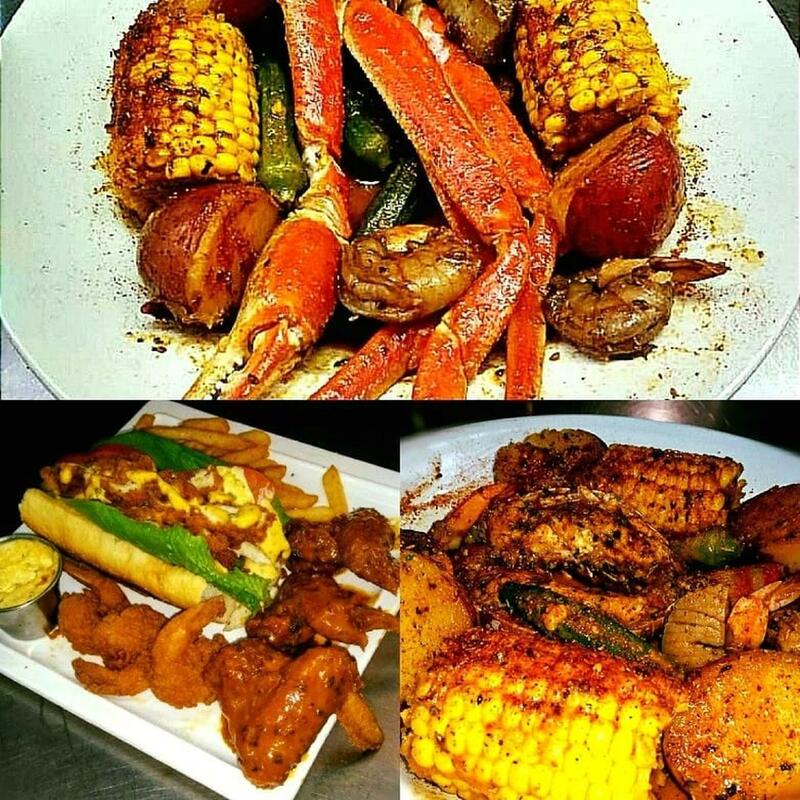 Cajun and Caribbean cuisines are what this restaurant boasts. 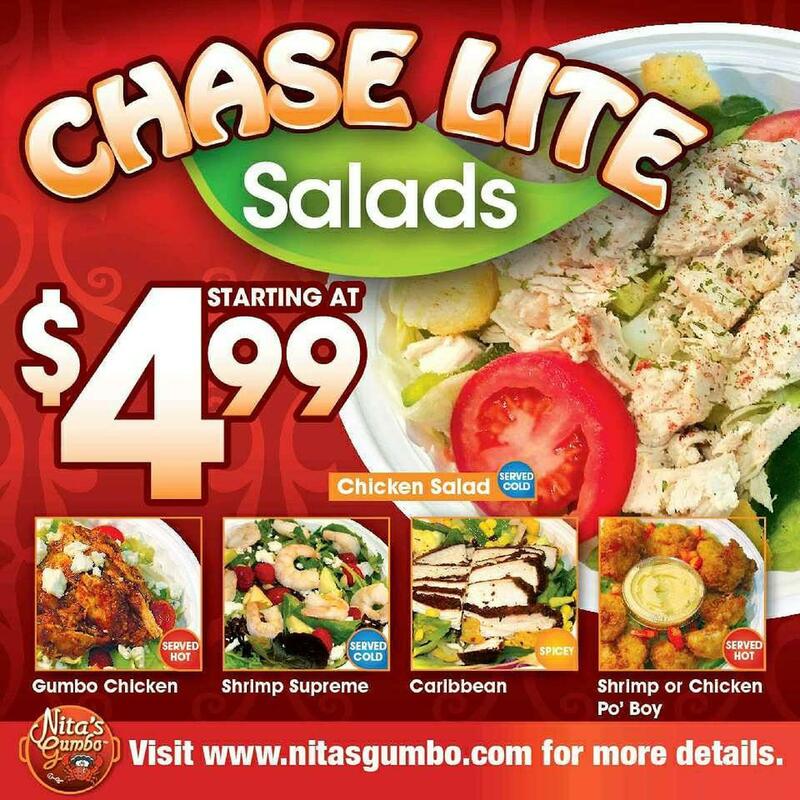 At Nita’s Gumbo, order mouthwatering rich gumbo, fried prawns and chicken. You can enjoy live music in the evening. The cool service is always a pleasure. This place has received Google 4.1 according to the visitors' opinions. Chicken breast mixed with salad greens tomato, cucumber, onion and croutons. Served cold. Crispy shrimp over salad, tomato with Nita's homemade roumalade dressing. Served hot. Crispy chicken over salad, tomato with Nita's homemade roumalade dressing. Served hot. 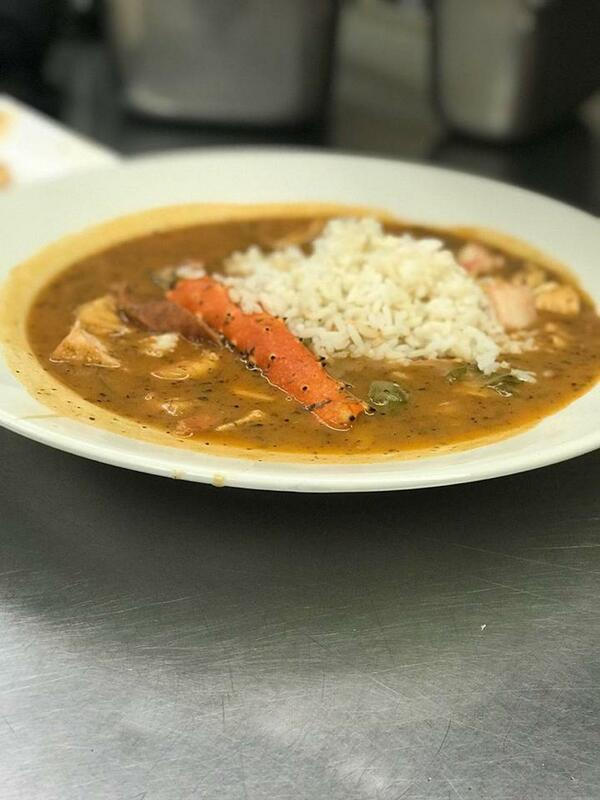 Fresh popcorn shrimp, scallop and crab meat mingled with succulent chicken breast and zesty chicken Andouille sausage and simmered in Nita's savory roux. Served with rice. Tender chicken breast paired with chicken Andouille sausage, celery, green peppers, scallions and simmered in Nita's savory roux. Served with rice. Great, great time!!! Love it. The good, the comedy was awesome! Will definitely return. 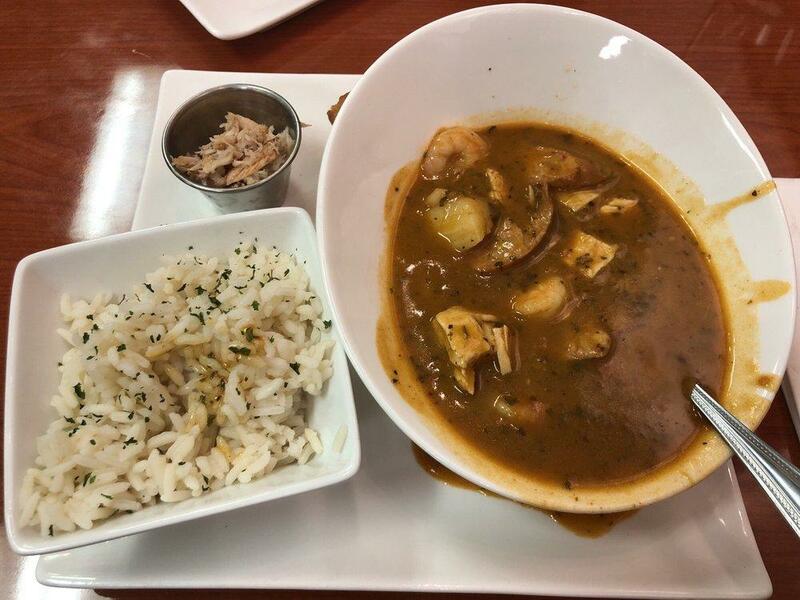 The seafood gumbo was excellent. The corn bread was like cake which I didn't care for. 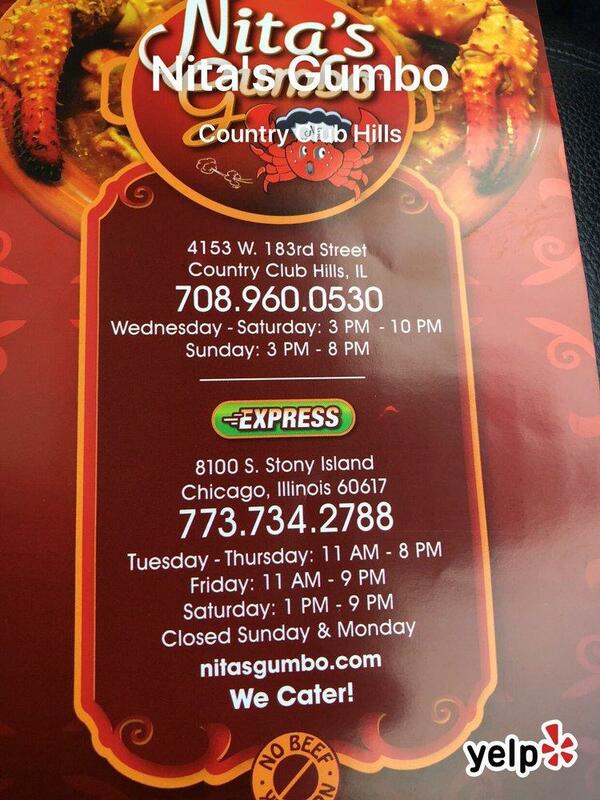 I was so excited to try this restaurant. After working a long hard day I was excited to finally sit down and try the Beloved Nita's gumbo. But before that happened as I walked into the restaurant there were five people standing at the booth all of which appeared to be employees except for one. I said hello and nobody said hello just looked at me. I quickly tried to break the ackwardness by asking a question and was led over to the register by one of the ladies. I purused the menu and asked another question, where I received a snarky reply. I quickly realized this is not the place for great customer service. Fast forward I got the gumbo, it was good for the most part. It's great they replace pork sausage with chicken option. The cornbread I'm still daydreaming about. I had a couple issues with the gumbo but I'll give it another shot. I took off a star because of the lack of customer service. But shout out to the young man checking me at the table, he was the only one who seemed to care about the patrons. If they up their customer service, a more gracious attitude, maybe bring you some water to the table ( you pay enough here for this small gesture, not just say go get it yourself) this could be a five star establishment.